Did you know our Club is available for Gym, Pool, and Birthday Party Rentals? To inquire about availibility, please call our front desk @ 978-667-2193. See the menu on the right for package options. The Club also has gym slots available on weeknights starting at 8:15pm. 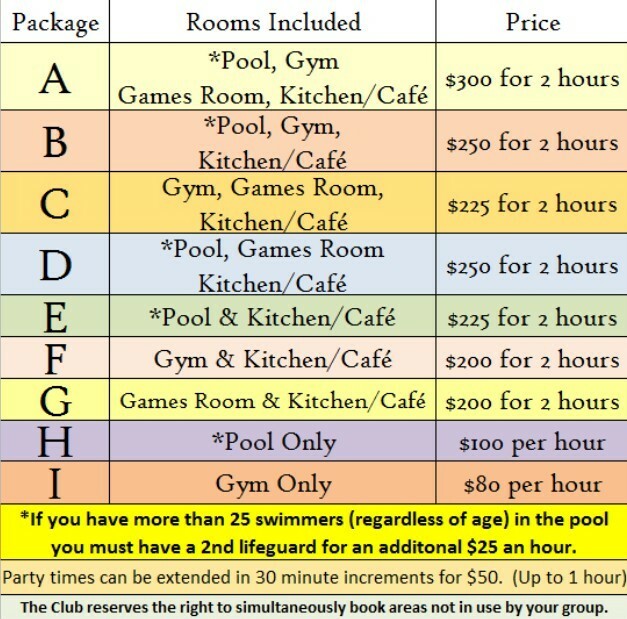 Please use the block on the left for more information about Birthday Party, Gym, and Pool rentals. All rentals must be booked in person with the full payment and a signed rental agreement. To view or download the rental agreement, use the rental links block on the left.